SAN JOSE, Calif. (CN) – Following hours of raucous debate that featured protesters chaining themselves to chairs, the San Jose City Council voted unanimously to approve a $111 million land deal with Google with the potential to dramatically remake the downtown area of the 10th largest U.S. city and capital of Silicon Valley and shape the future of corporate sponsored urban redevelopment. Several sustained protests from members of the public peppered the City Council meeting, repeatedly interrupting the proceedings with chants before being removed from the chambers by police. The land deal calls for the sale of several parcels of city-owned land near Diridon Station to Google, which plans to build a massive development that includes offices, houses, restaurants, retail stores and city parks on as much as 50 acres. 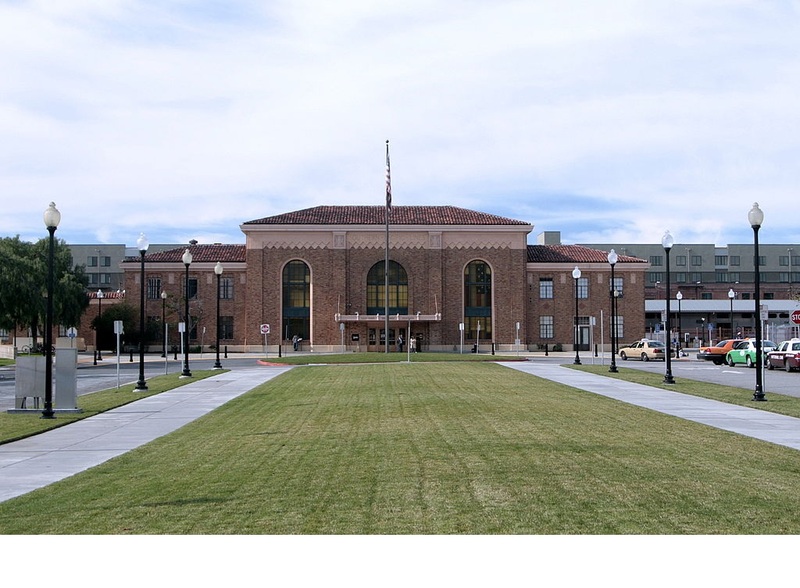 Diridon Station is the transportation hub in San Jose connecting area transit, and the likely first Bay Area stop for future high-speed rail trains. San Jose Mayor Sam Liccardo, an ardent proponent of the Google land deal, told the packed council chambers that partnering with the Silicon Valley behemoth is an effective way to transform an area of town dotted with empty parking lots into a functional space capable of alleviating the area’s chronic housing shortage and traffic congestion. “We’re talking about adding thousands of housing units, a huge infrastructure investment into our parks and trails, new restaurants and shops, not to mention the tens of millions of dollars going toward the city up front and annually,” Liccardo said. The mayor has also tried to contrast the deal with more recent moves by tech companies – particularly the Amazon headquarters deal with New York and Washington, where the cities gave away billions of dollars in subsidies and tax breaks. “Google is getting no breaks,” Liccardo said. The deal stipulates that Google will pay the city $237.50 per square foot, approximately twice the rate of what nearby parcels were appraised at last year, but substantially less than the $1 billion Google paid for an office park in Mountain View. “They are paying for infrastructure, linkage fees, which will help us build out our affordable housing,” Liccardo said, adding the city stands to gain as much as $10 million per year in additional taxes once the project comes on line. But the project’s many opponents say it will make an already growing gentrification problem worse. Several speakers expressed concern about displacing current residents and driving up rent in an area that is already among the most expensive places in the world to live. Kelly and others argued the parcels at issue should be used for public housing aimed at addressing the homelessness crisis in San Jose and offering apartments at below market rate. Several speakers accused the City Council of selling out the city to benefit a technology company that is at least partially the reason for the escalating rent and housing prices in the region. Several times during the meeting, Liccardo called for protesters chanting “Serve the people, not your pockets” to be removed from the chambers. Eventually a small but vocal group continued to disrupt the meeting after public comment ended and the council began to deliberate. The protesters chained themselves to chairs and the council members exited the chambers for an hour before resuming the meeting in an empty room. “We were advised by the San Jose Police Department to proceed with a vacant chambers,” Liccardo said. Eight protesters were arrested, according to police. Regarding the land deal, Liccardo and his supporters argued it contains robust provisions requiring 25 percent of the housing renting below market rate. Google also promises to create a community-benefits fund with money for affordable housing and education initiatives. “There is the potential for more than 5,000 affordable housing units in the Diridon Station development,” said Kim Walesh, deputy city manager. But hard details on the project remain elusive. The City Council voted to approve the land deal, but Google must also get its plan to develop the parcels approved. That could take at least a decade, Liccardo said. “We are at the beginning of a long road,” said Mark Golan, Google’s vice president of real estate development. Liccardo said the city will still hold significant leverage during the process as Google will likely need building height and other zoning adjustments to fully realize its vision, allowing the city to continue to extract concessions to benefit the community. Many opponents also expressed concerns the lack of transparency in the process. Nonprofit groups Working Partnerships USA and the First Amendment Coalition sued the city in Santa Clara County Superior Court last month, saying city officials who signed nondisclosure agreements with Google violated sunshine laws. The mayor and his allies say the NDA is pro forma at the outset of negotiations and that the particulars of the deal have all been disclosed now that the parties are close to a deal. “We were not constrained or limited in any public disclosure from the city of San Jose in the year and a half since the nondisclosures expired,” Liccardo said. He said the nondisclosure agreements were necessary during negotiations to prevent land speculators from unscrupulously driving up prices.